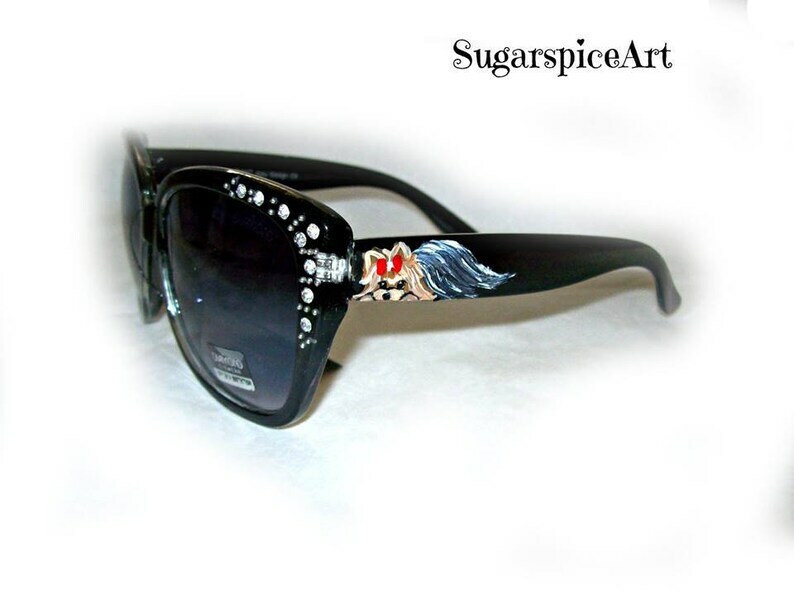 These rhinestone embellished Maltese Sunglasses have been freehand painted and sealed in acrylics by Tricia St.Amant, whose work was seen at Crufts International Dog Show and Hollywood's Golden Collar Awards! This Sunglasses offer 100% UV protection. Please Add me to your Favorite Sellers and please View My Other Items For Sale !